WASHINGTON — Expect insurers to seek significant premium increases under President Barack Obama’s health care law, in a wave of state-level requests rippling across the country ahead of the political conventions this summer. Insurers say the law’s coverage has been a financial drain for many of them, and they’re setting the stage for 2017 hikes that in some cases could reach well into the double digits. For example in Virginia, a state that reports early, nine insurers returning to the HealthCare.gov marketplace are seeking average premium increases that range from 9.4 percent to 37.1 percent. Those initial estimates filed with the state may change. The health law’s insurance markets offer subsidized private plans, with more than 12 million customers enrolled nationwide. Going into their fourth year, they don’t yet seem to have achieved stability. That’s a contrast with more-established government programs like Medicaid and Medicare Advantage, in which private insurers profitably cover tens of millions of people. The health law’s nagging problems seem to center on lower-than-hoped-for enrollment, sicker-than-expected customers, and a balky internal stabilization system that didn’t deliver as advertised and was already scheduled to be pared back next year. This year, premiums for a benchmark silver plan rose by a little more than 7 percent on average, according to administration figures. Sharp increases for 2017 would fire up the long-running political debate over the divisive law, which persists despite two Supreme Court decisions upholding Obama’s signature program, and the president’s veto of a Republican repeal bill. Of the presidential candidates, Hillary Clinton is the only one promising to build on the Affordable Care Act. She’s proposed an aggressive effort to increase enrollment along with measures to reduce consumer costs. The Republican candidates all want to repeal “Obamacare.” Vermont Sen. Bernie Sanders would incorporate it into a bigger government-run system covering everyone. The health law is “likely in for a significant market correction over the next year or two,” said Larry Levitt of the nonpartisan Kaiser Family Foundation. “There have been a lot of signals from insurers that premiums are headed up.” The administration says talk of premium increases is premature and overblown. Initial requests from insurers will get knocked back in some states, officials say. Standard & Poor’s health insurance analyst Deep Banerjee said he expects premium hikes to be higher for 2017 than in the more stable market for employer coverage. Insurers are facing higher medical costs from health law customers, and companies priced their initial coverage too low in an attempt to grab new business. “What they are doing now is trying to catch up,” said Banerjee. The head of the health insurance industry’s main trade group predicts sharper increases. Tavenner came to the industry from the Obama administration, where she oversaw the troubled launch of the insurance markets. The administration says talk of premium increases is premature and overblown. Initial requests from insurers will get knocked back in some states, officials say, aided by a rate-review process strengthened under the health law. Most significantly, the law’s subsidies are designed to shield consumers from rising costs. More than 8 out of 10 customers receive tax credits to help pay their premiums, and that assistance will increase as premiums rise. Many consumers have also shown they’re willing to shop around for lower-priced coverage. 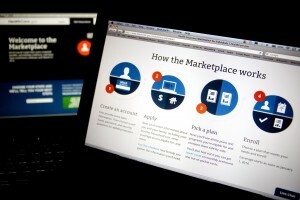 Taken together, officials say that means increases that consumers face would be much lower than what insurers request. Also mitigating the pressure for higher premiums is a one-year moratorium — for 2017 — on a health law tax on insurers, part of last year’s federal budget deal. Still, it’s hard to ignore the litany of insurance industry complaints. Last month, an analysis of medical claims from the Blue Cross Blue Shield Association concluded that insurers gained a sicker, more expensive patient population as a result of the law. The “Blues” represent the most common brand of insurance. Recently UnitedHealth, the nation’s biggest insurer, said it will radically pull back from the health law’s markets, citing estimated losses of $650 million this year, on top of $475 million it lost last year. Many insurers struggled because they didn’t know how much health care their new customers would use. Some patients had been out of the health care system for years and had been holding off getting needed care. Insurers also say they’ve been hurt by customers who signed up outside the regular enrollment period and then used a lot of health care. Insurers who are more bullish on the program tend to be ones that expanded slowly into the markets and have a lot of experience working with low-income Medicaid recipients. Associated Press writer Alanna Durkin Richer in Richmond contributed to this article. Murphy reported from Indianapolis. Left: Insurers said Obama's health care law has been a burden financially, leading health insurance analysts to predict premium hikes for 2017. Photo by Andrew Harrer/Bloomberg via Getty Images.